Several methods of approach and cautions for trading Brexit week explored. As British residents prepare to vote next week on whether the United Kingdom will ‘Bremain’ in the European Union (EU) or ‘Brexit’ from it, foreign exchange and multi-asset brokers are making preparations and traders should too – as the event could pose huge risk/reward opportunities, but not be suitable for everyone. Many firms are taking measures, for example, to help reduce clients’ exposure – and in some cases their own – by cutting leverage and increasing margin requirements for assets that may be significantly affected by the extreme volatility that may ensue. As Finance Magnates has reported on many of the related updates from various brokers globally leading up to Brexit week which will culminate on June 23rd when the UK takes to the polls to cast their ballots, this article serves as an analysis, as new and even experienced traders may overlook certain risks that could be of vital importance for trading this specific news event. There’s an old saying that you miss 100% of the shots you don’t take. While such a motto could entice someone to do something that they might otherwise miss out on – in terms of opportunities that carry risk – the best way for reducing exposure in a potentially dangerous financial market scenario is to avoid it altogether. Therefore, the safest approach to trading next week is not trading at all. 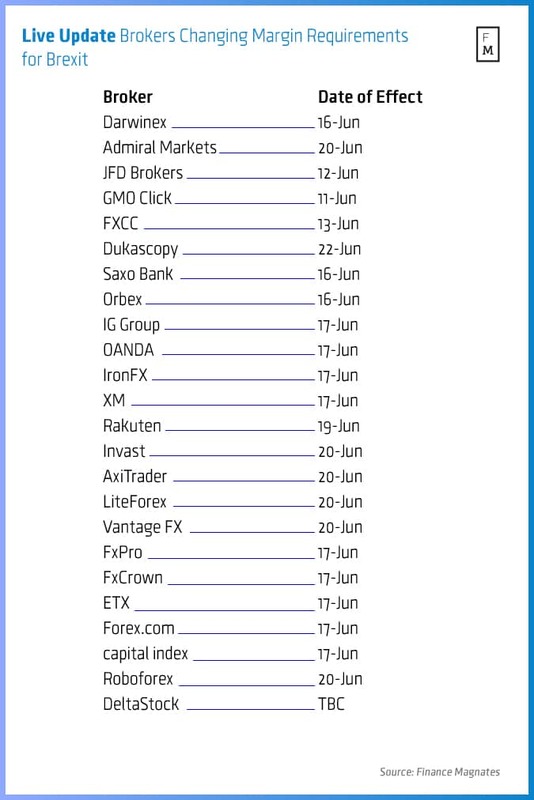 Having said that in disclosure warning fashion, let’s explore some further basics and approaches to trading amid reduced leverage and other restrictions as volatility, spreads, liquidity and related asset classes could undergo extreme changes as June 23rd approaches and even afterward. By increasing margin requirements, leverage is being effectively reduced as the capital in a client’s trading account commands smaller overall nominal contract values, and requires additional funds to be deposited in order to trade the same notional amounts that were obtainable based on prior leverage levels. In addition, some brokers have implemented trading restrictions such as capping trade sizes or not permitting new trades to be opened in related instruments (i.e. putting a close-only mechanism) as temporary measures are put into place throughout next week. As these changes are aimed to reduce risk, along with potential profit, the safest thing may be for traders to sit on the sidelines – unless traders are highly experienced and well-versed in the use of multiple trading tools to manage potential market free-fall and gap scenarios as described above. 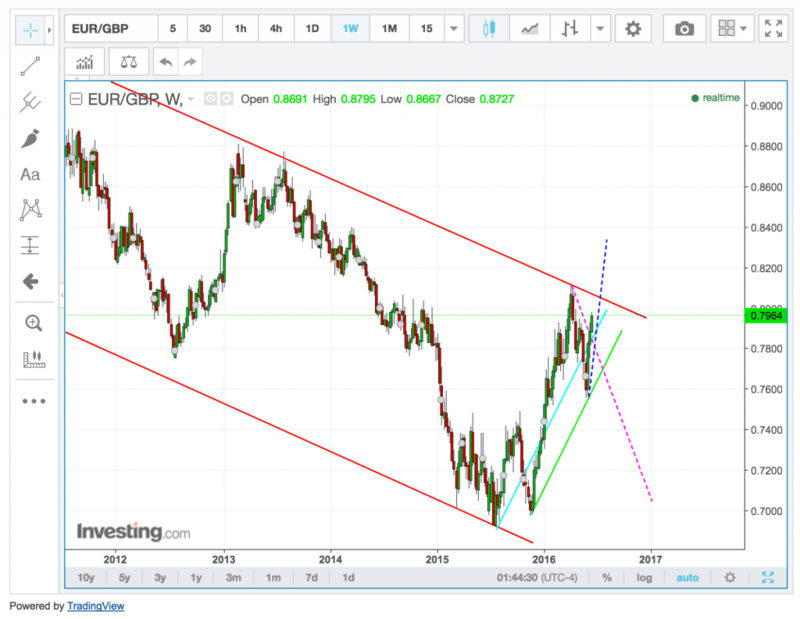 Therefore, regardless of the Brexit vote outcome, currency pairs like GBP/USD and EUR/GBP – and other pairs – could spike significantly one way before falling equally as much back the other way – only to change direction again by an even greater or lesser degree, for example. This means that a directional play is more difficult as traders can get kicked out of their positions before the market moves further into the direction they anticipated simply because of abnormal volatility and trading conditions. Such disorderly market behavior – known as a seesaw, spike or head-fake – is often seen around news announcements yet on a much smaller scale, and therefore, such conditions could be exacerbated next week during the Brexit vote to a much larger degree. Reading the fine print of a broker’s customer agreement, account disclosures and/or news-related trading policies should be the first step in preparing to consider any related trading during these times, as well as the risk-management protocols in place for the company to ensure its own operation through such events. Understanding a broker’s risk management methods and counterparty structure can also be critical as the SNB crisis last year revealed systemic risk between brokers and their liquidity providers that affected underlying clients in certain cases. Therefore, dealing with a firm that is well capitalized can be as important as making sure that its counterparty risk management processes are sufficient – whether the firm claims to be a full STP/agency (non-dealing desk), market-maker, or a combination of the two. In addition, many large players such as institutional investors and fund managers may take the chance to make big bets during Brexit week, adding to the momentum or speed of price movements. Media coverage yesterday by Reuters noted that many large trading desks are expected to have full staff on call around time of the vote. Traders believing they can out-smart the market using a straddle position consisting of two trades – one that goes long and one that goes short at a similar entry price and adds independent stops/limits to each leg of the trade – can still experience tremendous losses exceeding their account margin – whether the trades are one-cancels-the-other (OCO) orders or not. 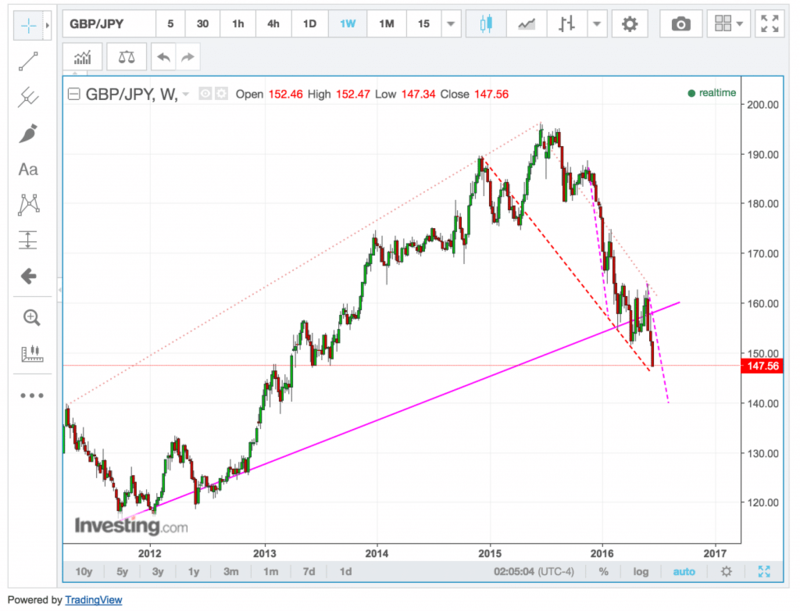 This is because limits could be filled at their price or better, whereas stops could be subject to market gaps – so one side of the straddle could hit a profit but the loss on the opposite trade could far exceed any realized gain. The above scenario can also be applicable to a strangle position, which unlike a straddle may have a different entry price for both buy/sell legs of the trade, compared to a straddle that enters both legs at nearly the same price. Futures, however, may provide a more effective means to straddle or strangle the FX market prices but this is contingent on other factors related to contract specifications and trading venues. More complex and/or multi-legged strategies using options may present limited risk/reward opportunities – while other options strategies could carry unlimited risk scenarios. More advanced traders may diversify their holdings – including via the use of multiple currency pairs and weightings – and reduced positions sizes – along with other trading instruments such as FX options, futures, and/or ETFs. In addition, non-fx products may be used to help counter-balance risk by using assets with less expected correlation to the Brexit vote outcome – although a global stock market sell-off could follow and affect many assets considered to be unrelated. Therefore, selective diversification may be challenging as safe-haven assets are sought. Finance Magnates covered a related Brexit post earlier yesterday that outlined the sharp rise in implied volatility which makes option premiums extrinsically more expensive even if their intrinsic values are minimal or nil (such as in out-of-the-money options – which have become more expensive). Despite the sharp rise in implied volatility, there may be still assets that haven’t priced in such volatility that could be undervalued in terms of options chains that investors may scour to find trading opportunities or as a hedge. Obviously, a perfectly hedged position has no profit or loss potential, aside from trading costs, and therefore the needs of balancing risk/reward need to be considered comprehensively across an investor’s entire portfolio. This applies both for individual positions and their overall affect with each other – including cases where one position’s closure could negatively affect the remaining holdings (in terms of balancing). 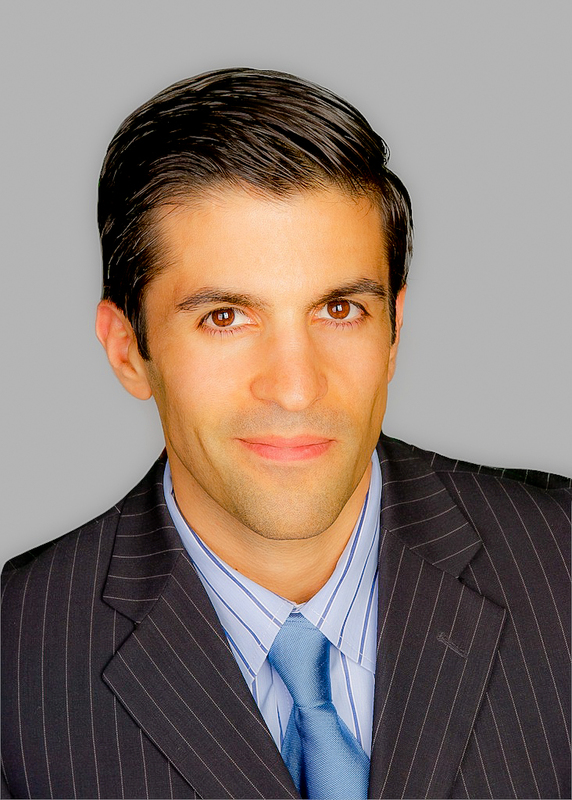 For example, a properly weighted portfolio of only spot FX positions – even without stops or limits – could achieve close to a market-neutral position where huge losses could be offset by nearly equally huge gains, although monetizing such a portfolio could still be a challenge – even if balanced exposure is maintained. In conclusion, a combination of approaches or abstaining from trading will depend on the same factors that are typically customary with regard to investor or trader suitability and best considered along with a licensed professional and based on tailored investment objectives and risk appetite, while using enhanced caution ahead of the UK’s vote. 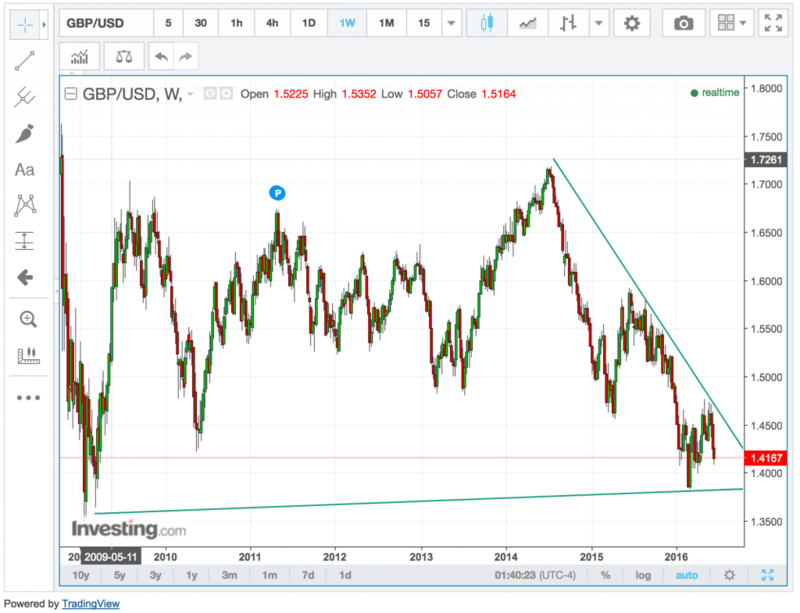 A weekly candle chart below of the GBP/USD pair shows its recent fall over the last few weeks as it approaches 2016 lows and with further support possible near 2009’s low around 1.35. 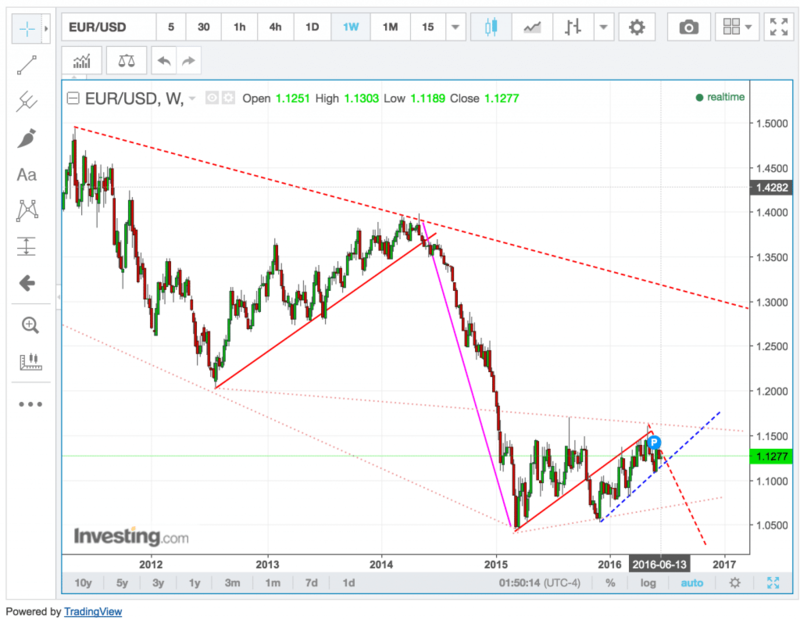 On the other hand, a spike higher towards 1.50 could be seen – either before or immediately after any large drops – depending on how Brexit week plays out.